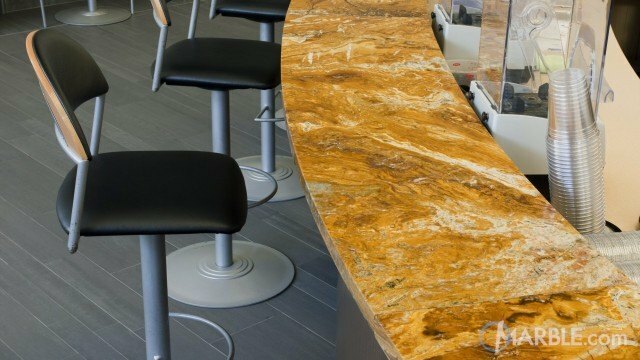 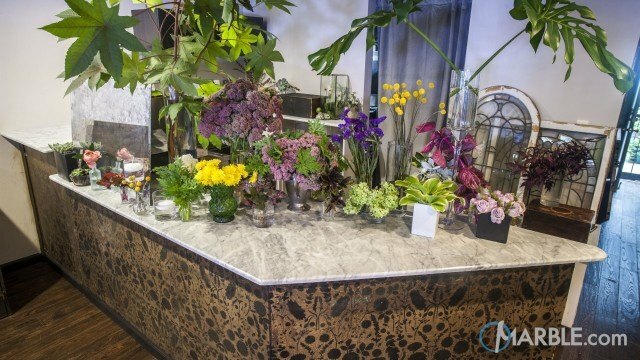 This ultra-modern bar is brought together by Madura Gold granite counter tops with 1/4 Round Edge. 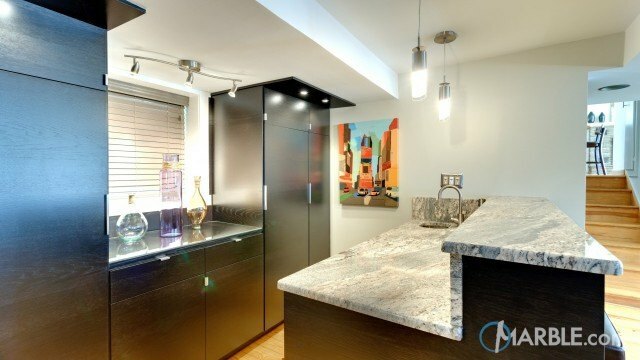 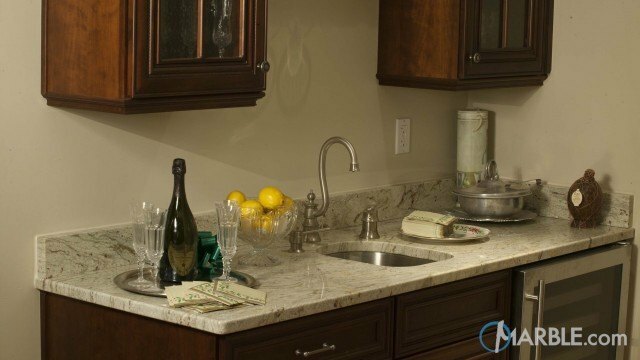 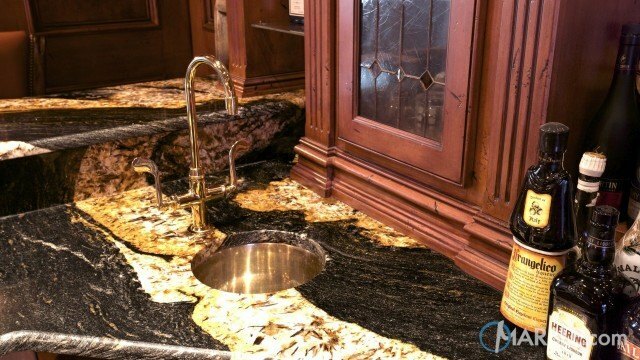 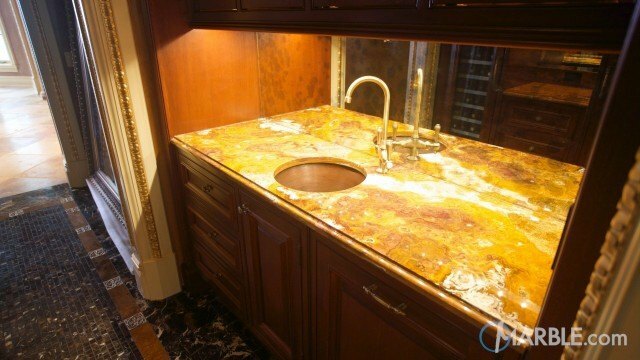 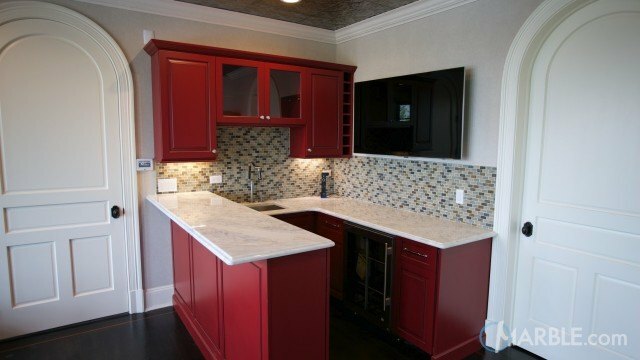 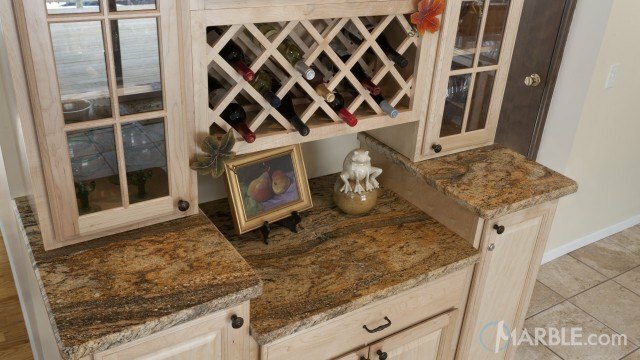 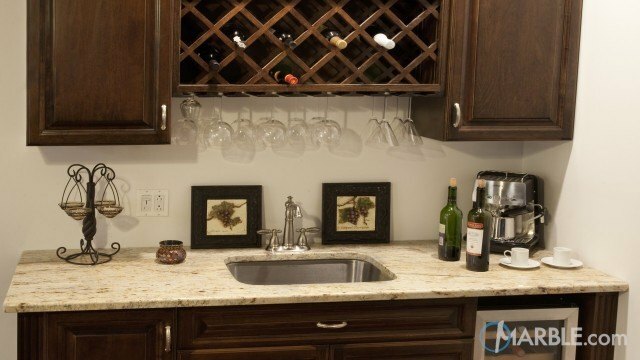 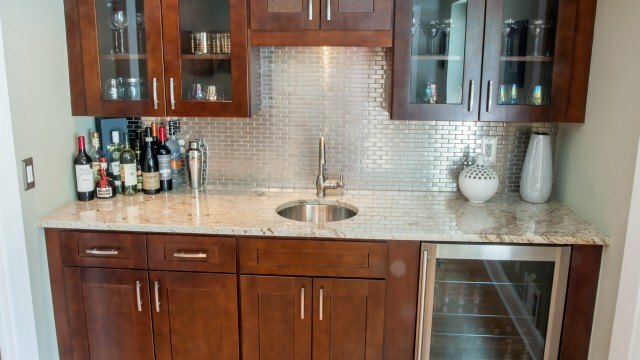 The kitchen bar is framed with black wood that brings out the patterns in the granite. 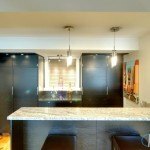 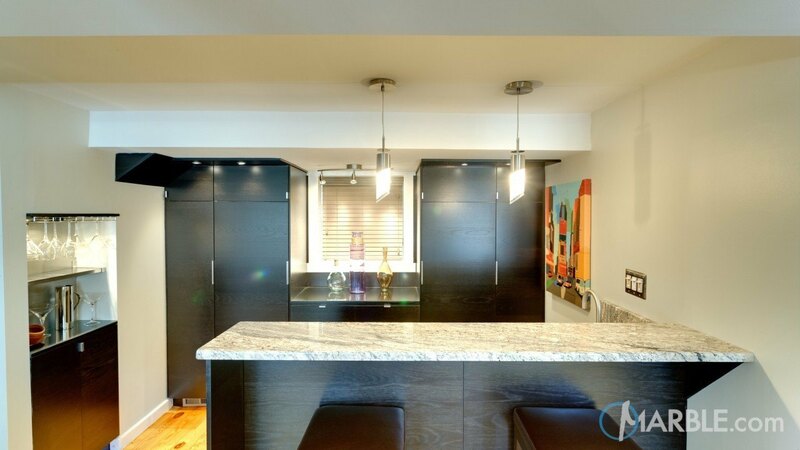 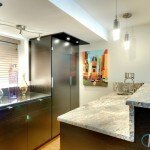 Black cabinets are set off by hanging lights that are formed in narrow globes to accentuate the modern feel of this kitchen.